For any enquiries, please email us directly at sales@thegadgetsglossary.com (instead of sending the inquiry via Qoo10 platform) for faster responses. Thank you. Please note that SingPost Normal Mail delivery/shipping does not have a tracking number. Orders sent by this mode is not traceable once we mail your order out at SingPost post offices. Hence there are risks of lost/missing/delayed mails which we will not be responsible/accountable for should there be any cases of such incidences. Buyers who select this shipping option will have to bear the responsibility if their orders are lost/missing/delayed and we will not be able to do any compensation/replacement for them. To have a peace of mind, we strongly encourage buyers to select Courier Services delivery such as Others (which is Roadbull Logistics in our shipping selection) and Qxpress, or SingPost Registered Mail delivery. Please also refer to our Terms & Conditions. Any orders placed with us would be deemed that the buyers have read and agreed to them before they proceed with the purchase. Please note that this shipping option classified as 'Others' in the shipping selection is a Courier Service provided by RoadBull Logistics with tracking available and guaranteed 1-2 working days delivery from the shipment date. The tracking number will be updated in your Qoo10 account once the order is shipped. *SINGAPORE SELLER* / High Quality / Wholesale are welcome! order 8/4. ship 9/4. recd 11/4. item recd fast. Quick delivery. Item seems to be working as described. Recommended! I rcvd the holder quite fast. But I am neutral to order again coz the ball joint broke too easily when I was trying to tighten on the nut that holds the ball in the socket of the phone holder. So now I am without a phone holder. One week after installing one my car windscreen, the rubber holder break off. Likely due to the sun heat. The long neck makes it wobbly and shakes while driving. Would prefer something with less movement. Workaround is to adjust it such that it rests on the dashboard. Very basic. Mechanism seems filmsy, unlikely can last long. Simple use for non fussy userd. Hi, it works on ceramic that has a smooth and even surface and on glass. Type B and E are extendable. Thank you. If you select Qxpress, delivery will be within 2-3 working days after Qxpress collect your order from us. 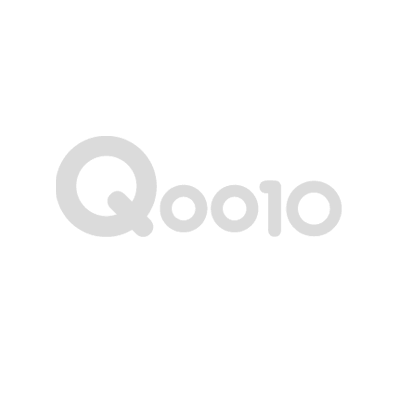 You can check your Qoo10 account for the tracking number of the order and track your item status at your Qoo10 account after 1 working day your tracking number is updated. We have replied to your email. Hi, is there any restock for type A? We might have some stock left. Will have to check on that to confirm. If there is, we will update the quantity here. hi, pls let me know if there is stock. i wld like to buy. Limited quantity stock updated. You may purchase it already. The base is sticky type, as long as the surface is flat, it should be ok.
Hi. Is this for any model ? Cureently using s5 . Can fit in?. Please refer to the individual type/model under the item specifications for their respective clip width and see if it's compatible with your S5 width. I ordered the earphones are bluetooth earphones and the delivery is a wired earphone. Please email to sales@thegadgetsglossary.com with your order number for further assistance.